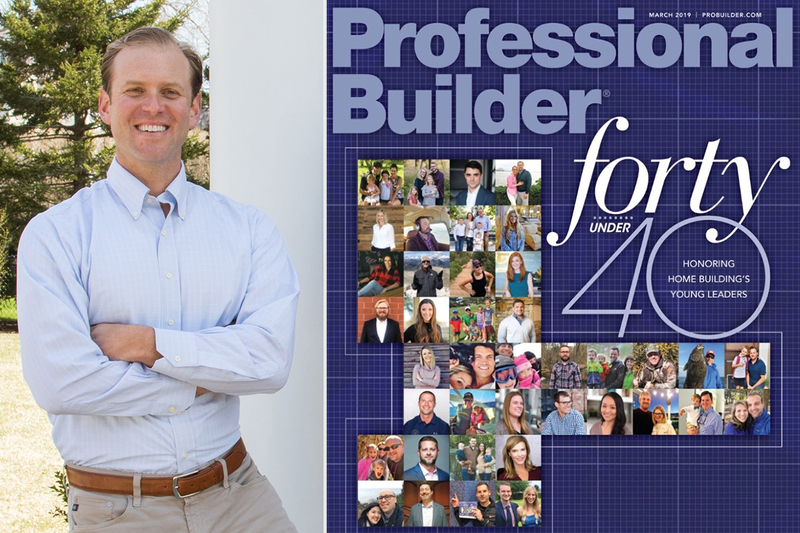 We are pleased to announce that President and CEO, Aaron Polhemus, has been named one of Professional Builder Magazine’s ‘Forty Under 40’ for 2019. Annually in their March issue, Professional Builder Magazine releases the ‘Forty Under 40’ list of rising stars in the home building industry. This year’s class of 11 women and 29 men were selected from more than 150 nominations submitted from all regions of the United States. Those selected are leaders and innovators of this up-and-coming generation of home builders, developers, designers, researchers and sales professionals—making their mark through their business talents. Many are also active in their communities, giving back through mentoring and charity work. As President and CEO, Aaron Polhemus leads the company’s management staff and executes PSD’s comprehensive, quality-focused project management model. He is committed to providing clients with accountability, clear communication and budget control measures that maximize the high level of value the company provides. Aaron first began working for PSD during school breaks, and joined full-time after graduating from the University of Vermont and becoming a Licensed Construction Supervisor. At PSD, he took on roles of increasing responsibility in field construction, project management and executive leadership. A long-term resident of Cape Cod, Aaron is dedicated to supporting the community in which he lives and works. He is committed to working with philanthropic organizations that focus on supporting the Cape community, including through his firm’s PSD Fund for Working Families and through his involvement with specific organizations, such as Women’s Empowerment through Cape Cod Area Networking (WE CAN). Aaron’s passion and drive for well-executed design and construction is evident in the mission and values exhibited by the company.